She's from FF X (right pic) and X-2 (left pic). Riku is an Al-Bhed, and Yuna's cousin (Her dad, this game's Cid, is Yuna's uncle). Rikku can be very cute, but she's also kind of annoying. She's always cheerful and smiling. Being an Al-Bhed, she has some unique abilities with handling machines and mixing things like potions to produce greater effect. 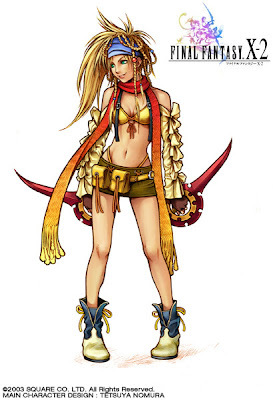 She has little efficience in phisical attacks, especially in FFX, but her grenades and other abilities can be really helpful. Also, she can use Al-Bhed potions, which cure all status abnormalities plus cures the whole party at once, so she's good in a battle. The first two pics are him in KH II, the thirs is in KH I and CoM, and the fourth is him at the ending of KH I, and also how his clone looks like. 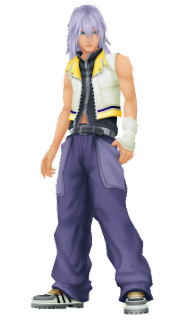 Riku is Sora's and Kairi's childhood friend, and Sora's best friend. His heart was taken by darknes in the start of KH I and he destroyed the Destiny Islands, betraying Sora and helping Maleficent, in order to save Kairi. 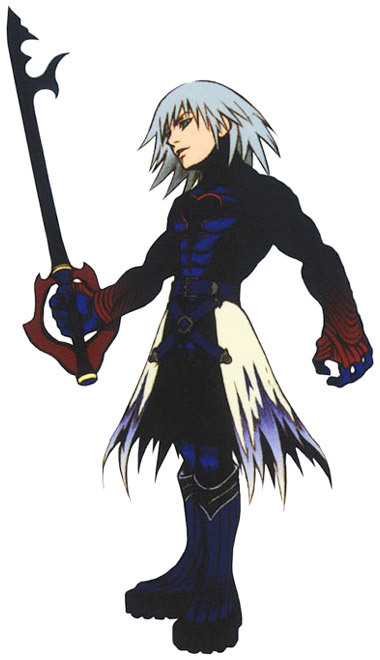 He was being possessed by Xehanort's heartless, and fought Sora at the end of KH I, in Hollow Bastion, even taking the keyblade to himself. 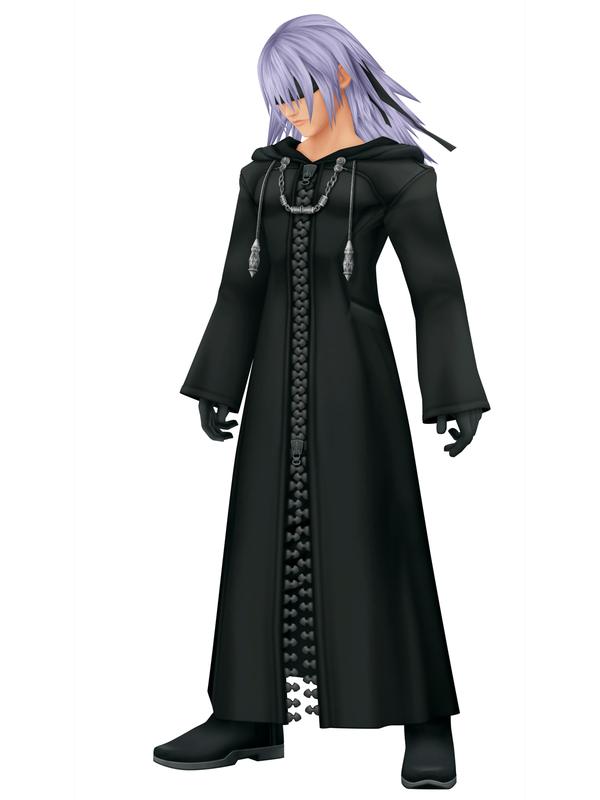 When he realized he was being used by his own darkness, he helped Sora and the King to seal Kingdom Hearts at the final clip. In CoM, he fought his way through Castle Oblivion, confronting Xehanort's heartless, who tried to take over his heart, but did not succeed. 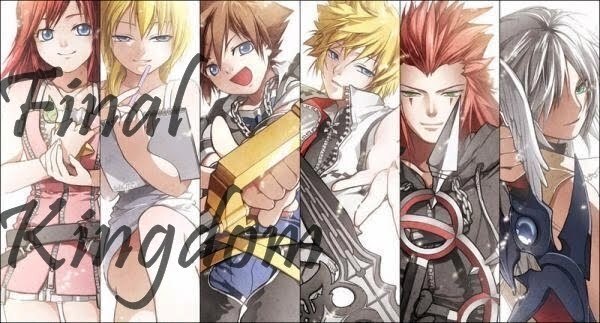 Then, he helped Diz to restore Sora's memories, fighting with Roxas. 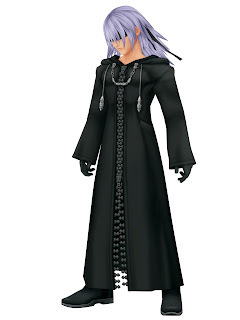 During this fight, he gave in to the darkness in his heart in order to get stronger, and ended up with Xehanort's appearance. He did not want to be seen by anyone, especially Sora, while like that, so he acted in the shadows, helping Sora on his journey. 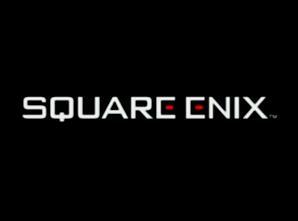 In KH II, in the Land That Never Was, he meets with Kairi, and fights alongside her. She then reveals to Sora that he was Riku. Sora gets really happy, to be reunited with his friends. 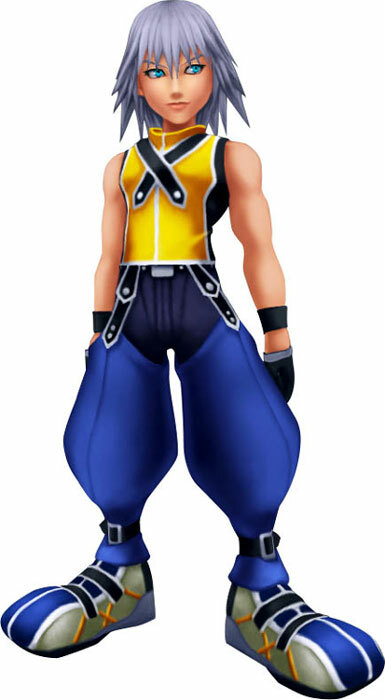 In KH II's Final battle, is alongside Riku that Sora fights, against Xemnas. Riku is quiet and serious most of the time, and only smiles when he is with his friends.